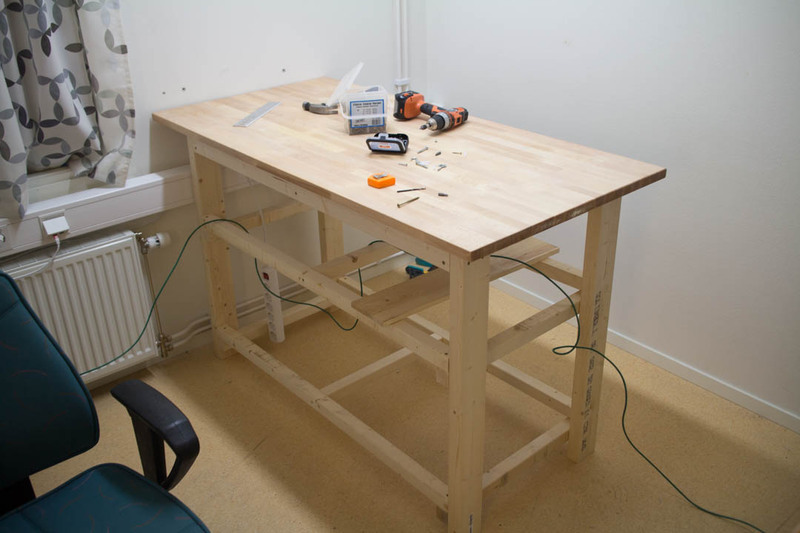 So since almost a year I have been having my own little office/workspace. 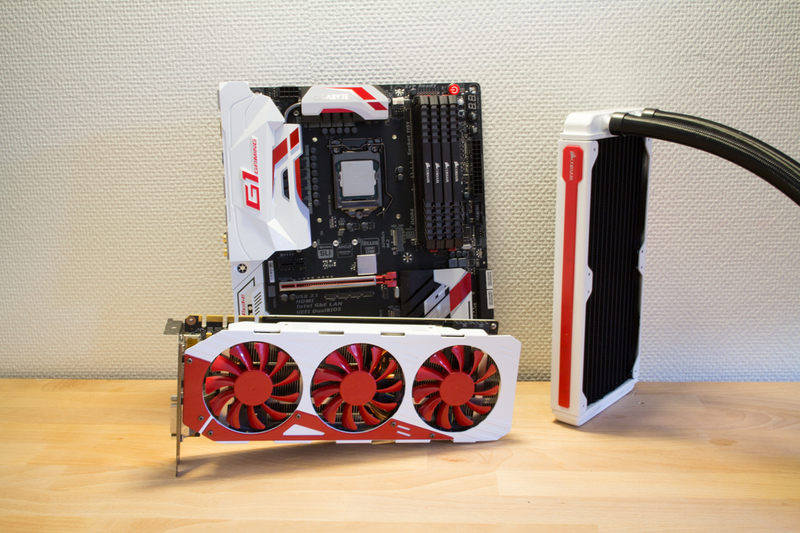 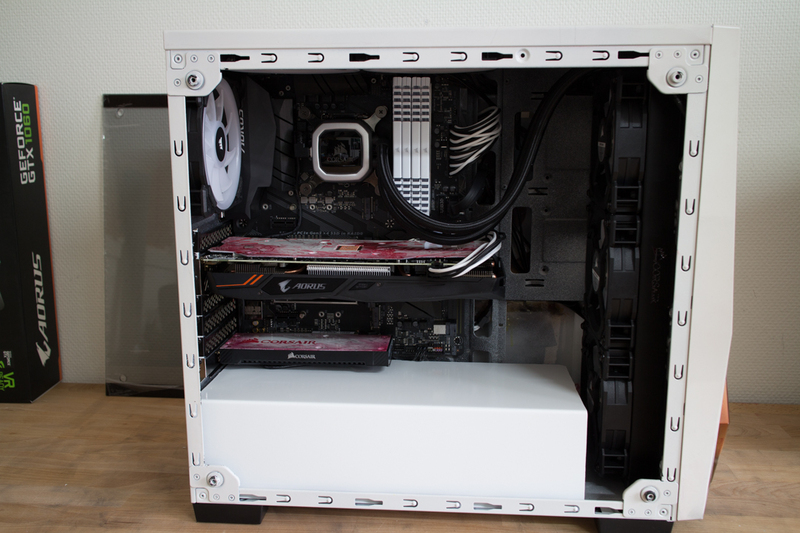 Before that I used on of the rooms in our apartment, but after we got our child I needed my own office-space, so right now I am renting a 14 squaremeter big space where I have my main PC for work, a testbench PC, more tablespace for modding. 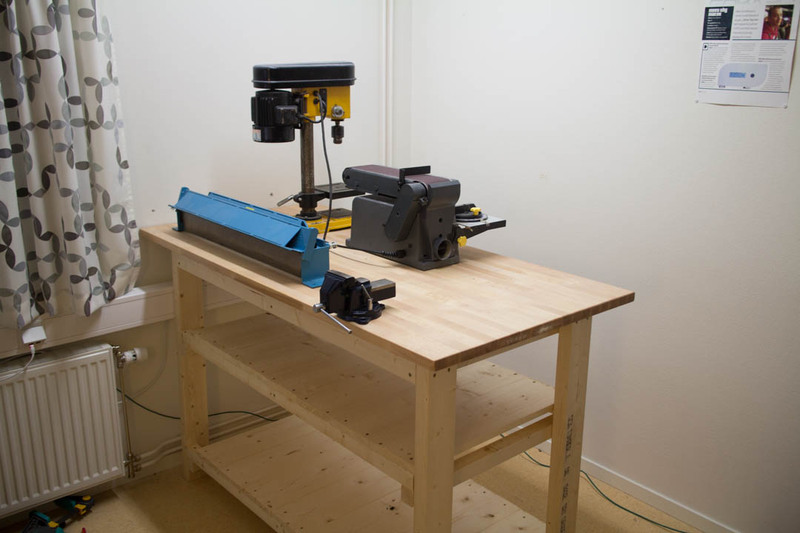 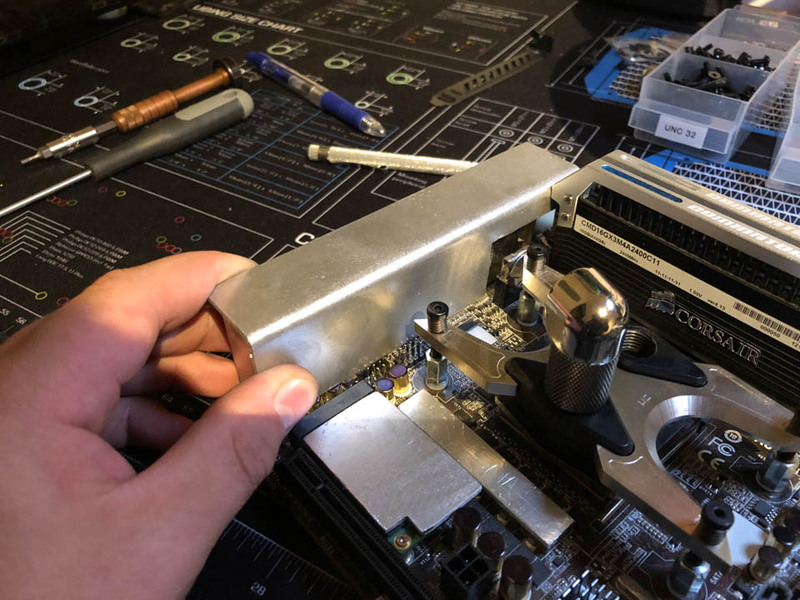 I also had a simple table from Ikea as a workbench, however that table was not very stable when I had my tools on it, drill-press, belt-sander etc. 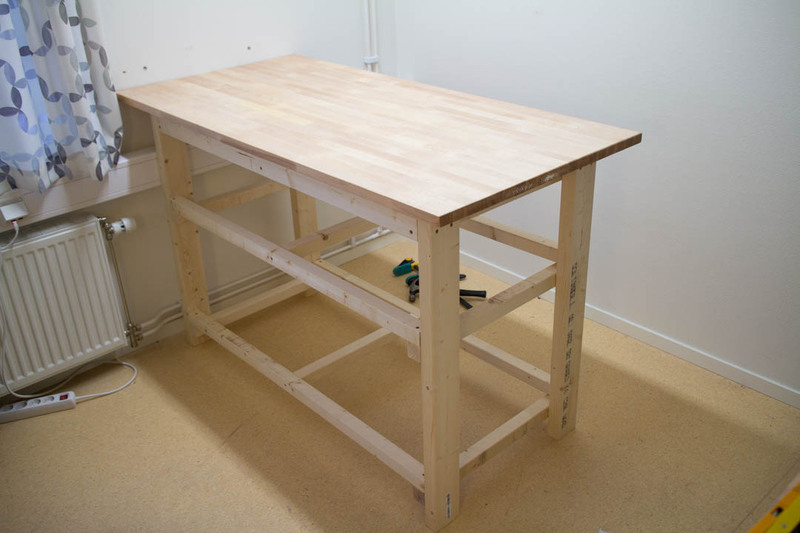 In this how to I will show you how I built myself a workbench that is not extremely big but very stable and affordable. 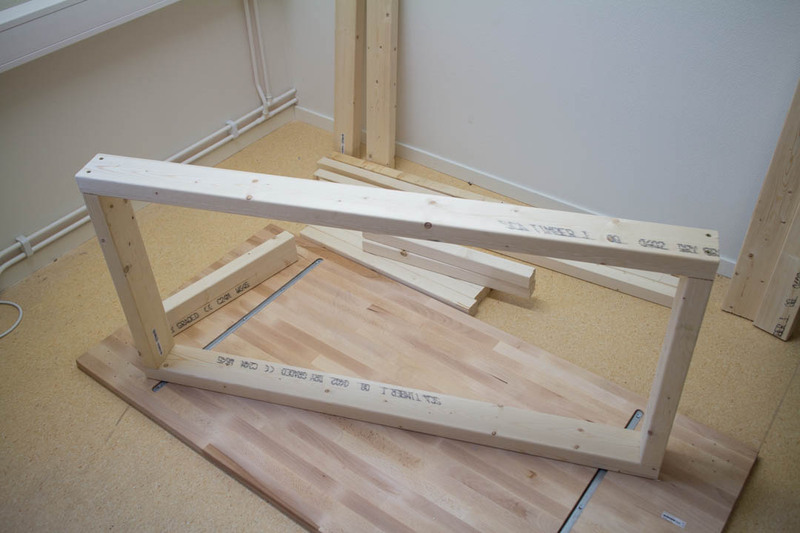 The table is called Gerton from Ikea, it is 1550mm x 750mm. 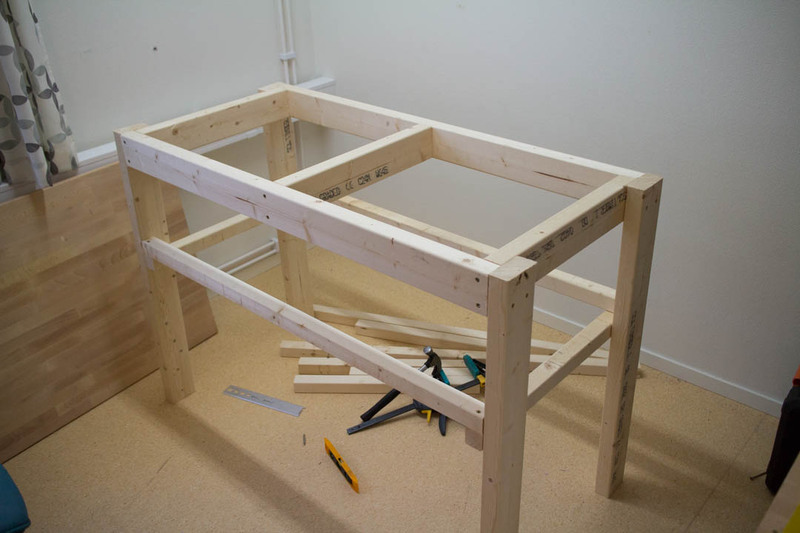 The base is built with 95×45 and 45×45 planks. 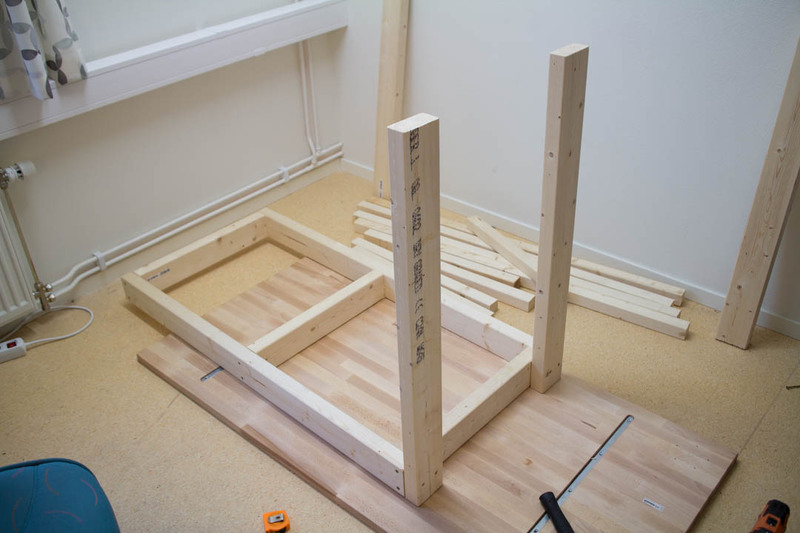 I started by building a “box” with 95×45. 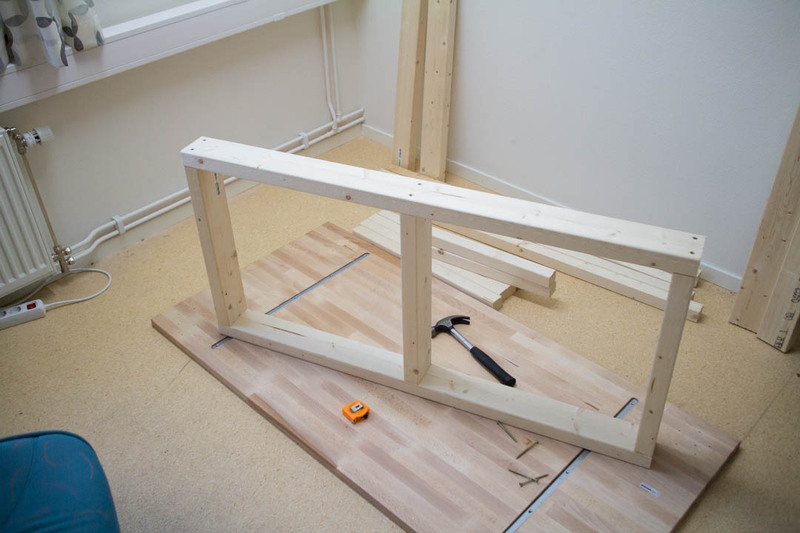 For the legs I also used 95X45 planks, the legs are 950mm long. 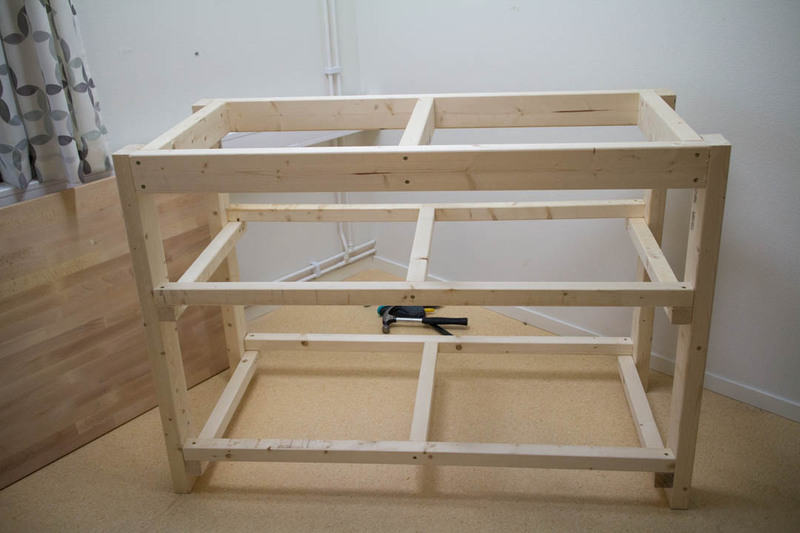 I also wanted some storage in the workbench, so I started building the base for two shelfes in the workbench, these also makes the entire thing much more stable. 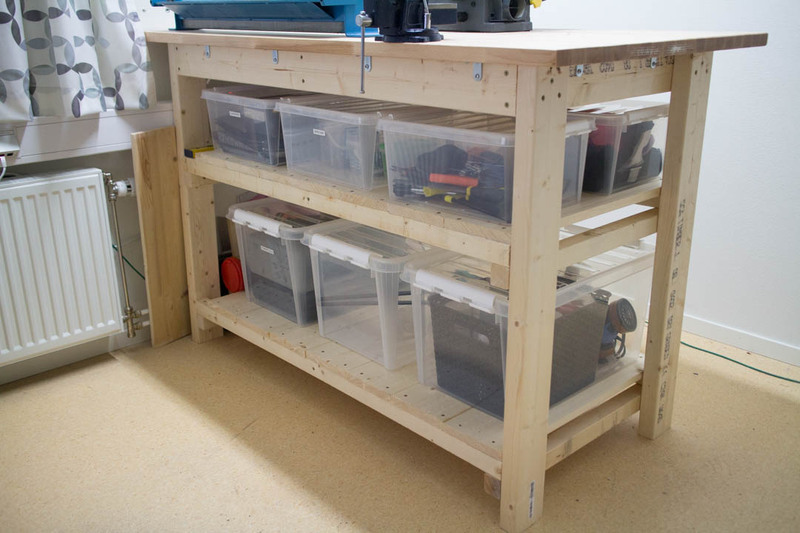 On the shelfes I will have plastic boxes where I can store smaller acrylic and aluminiun sheets, smaller powertools etc. 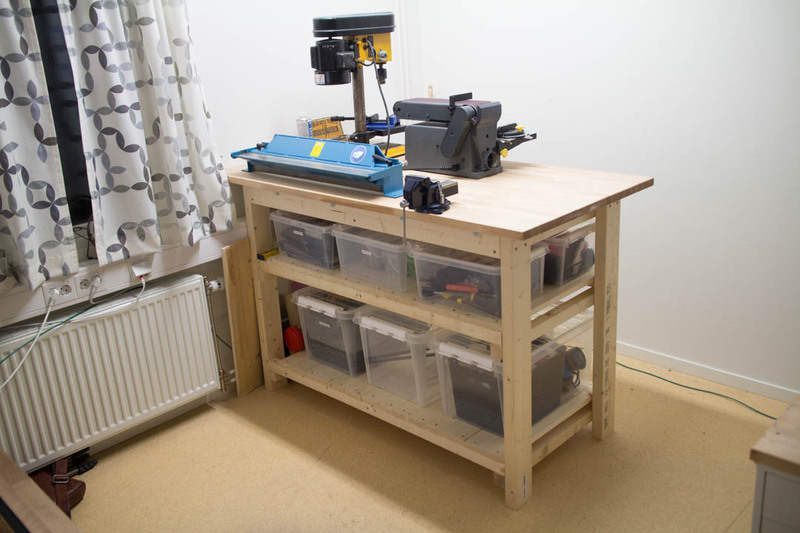 The workbench itself is now finished! 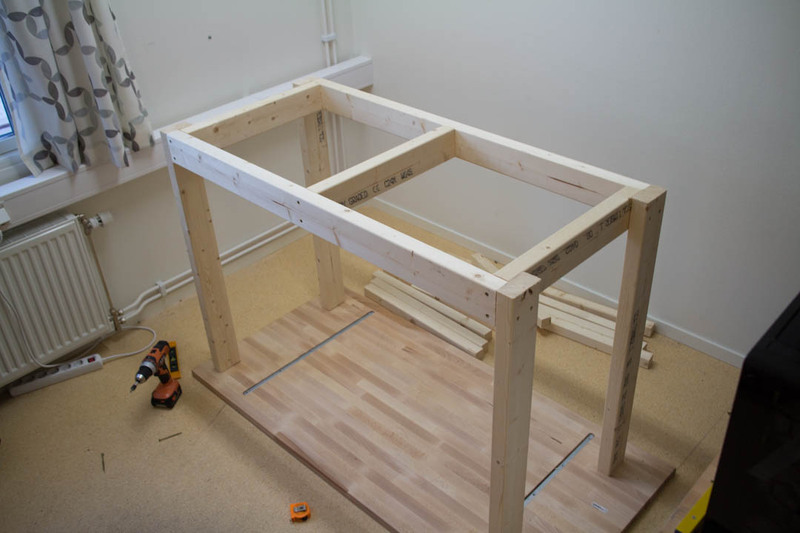 The tabletop is screwed together with the base and the tools are mounted, everything ended up to be very stable. 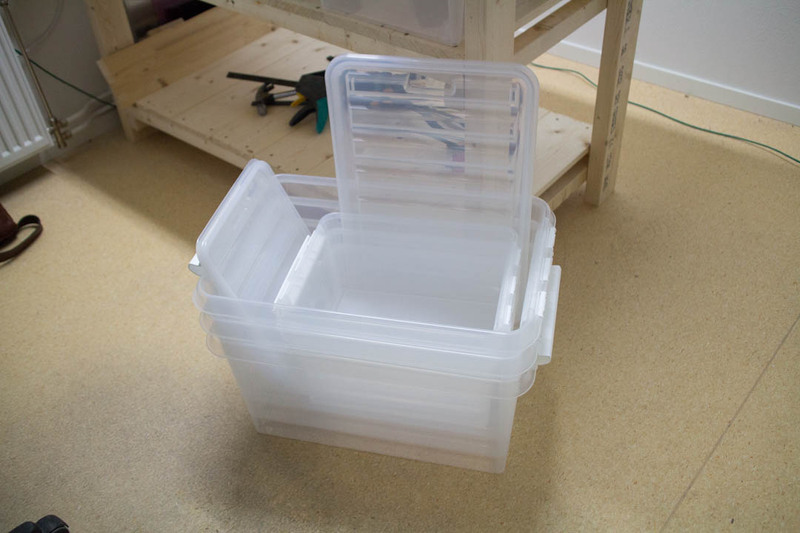 I bought a couple of plastic boxes in different sizes for tools, materials and all kinds of different parts, I marked all the boxes as well, it feels really nice to have everything organized. 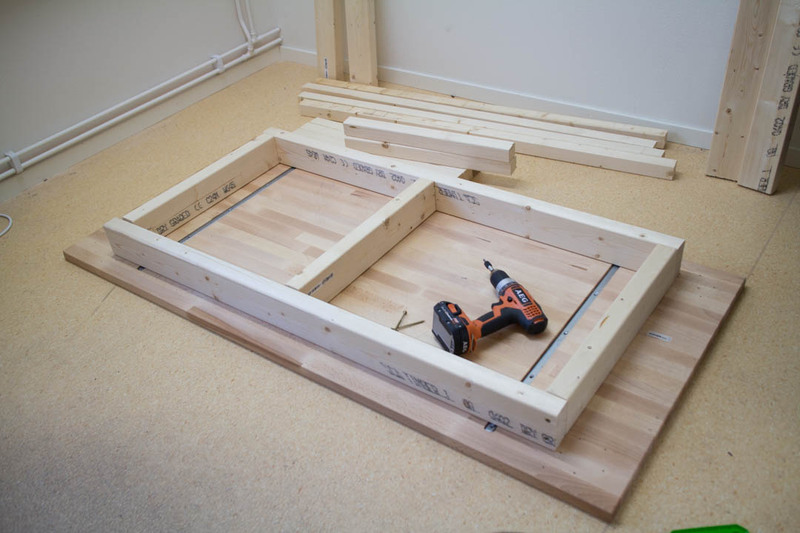 Hopefully this could work as a guide to anyone who wants to build something similar, if anyone want the exact dimensions of all the wood planks leave a comment and I will send it to you.